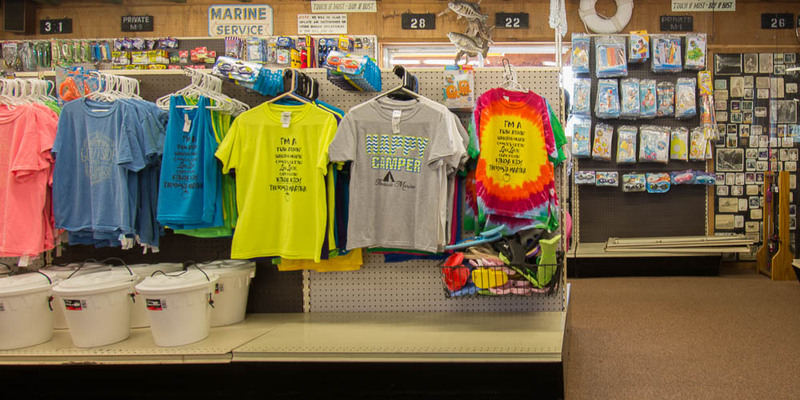 Visit our full service marina, your one-stop fishing and water recreation center with a complete line of rental fishing boats, pleasure boats, and paddle boats, a bait and tackle shop, a gift shop, and boat slip rentals. You'll find maintenance facilities and gas and oil on the dock. Local fishing guide services are also available. Need a Fishing or Pleasure boat? We are your one-stop fishing and water recreation center, with a complete line of rental fishing boats, pleasure boats, and paddle boats. 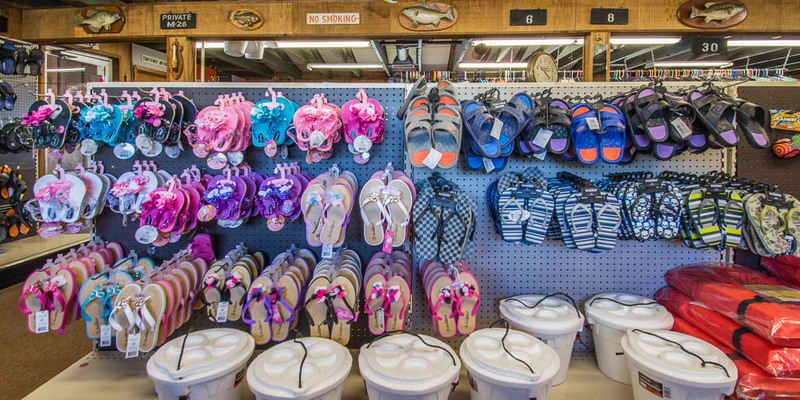 All boats come with everything you need to enjoy your day on the water. Life jackets & safety gear are provided at no extra charge. Includes- Live well, depth finder, trolling motor. Our 24 ft Pontoon can accomodate up to 12 adults. Our 22 ft Pontoon is a pleasure boat that can accomodate up to 6 people. On 4 hour rentals- take out times can be from 9 am to 1 pm or 2 pm to 6 pm. Tubes and skis available for rent by the hour or daily. All rentals will require a valid credit card to reserve, and a security deposit. All rental boat operators are to be above the age of 21 and have a valid boaters license. Prices shown do not include the additional cost of fuel used during rental time. Stalls rent on a first-come/first-served basis. Minimum: 2 nights on weekends, 3 nights on holiday weekends.